Many applications require Java installed on your computer for them to run smoothly. 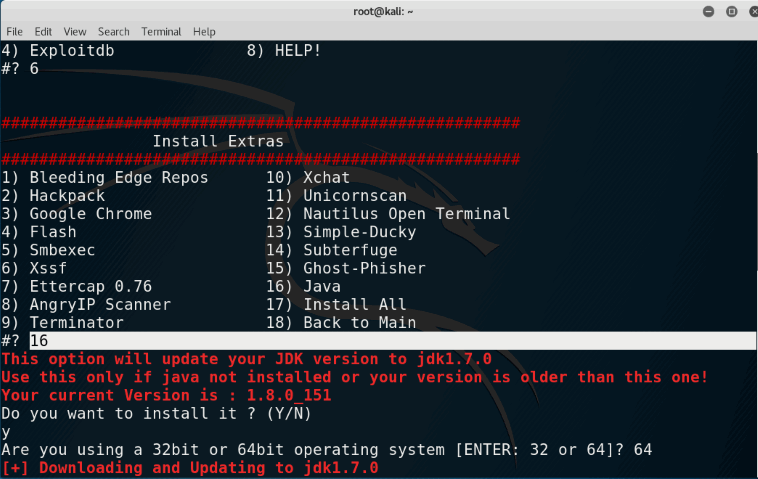 This tutorial will guide you through a complete process of installing latest java on Kali Linux. 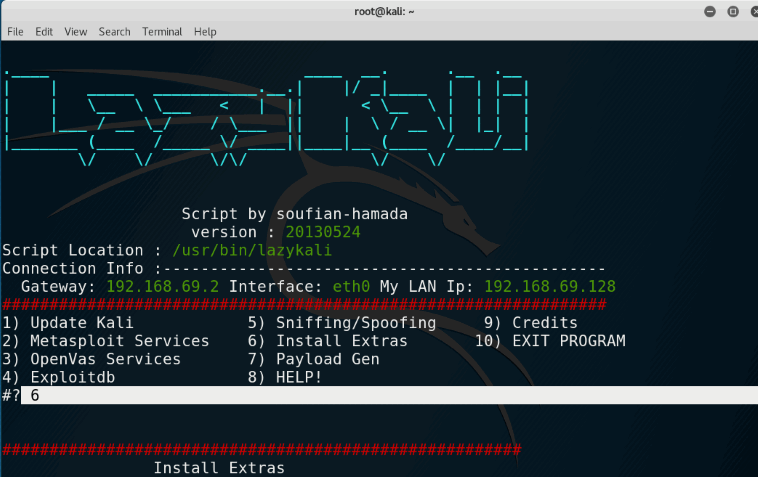 Step 1 : just type lazykali on kali linux terminal. Step 2 :Type 6 to install Extras. 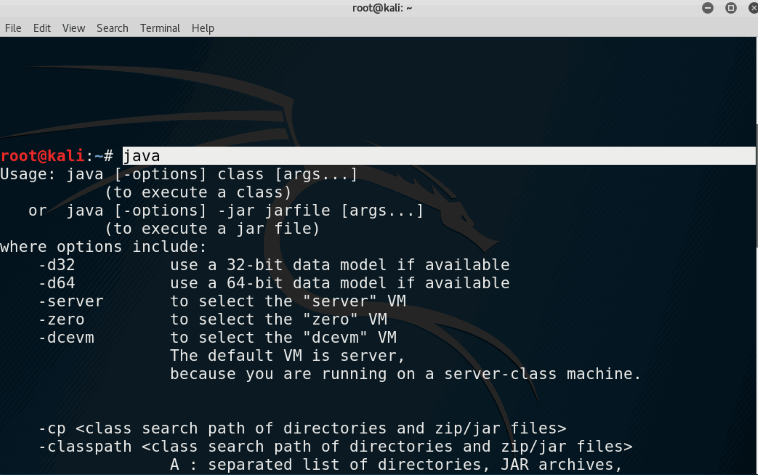 Step 4 :Java is Sucessfully Installed on kali Linux.To Check just type Java.